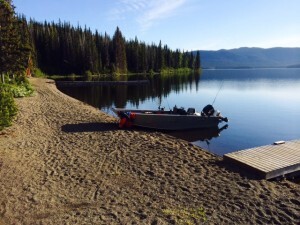 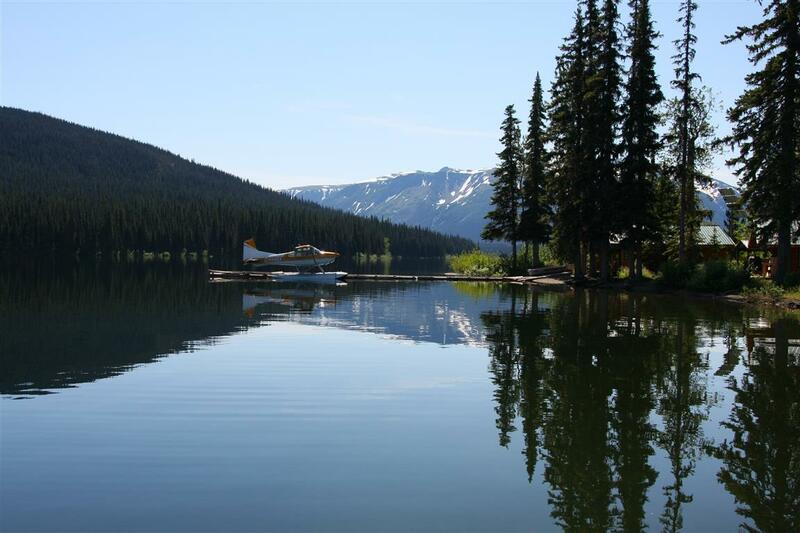 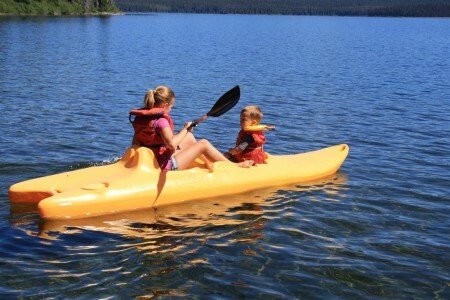 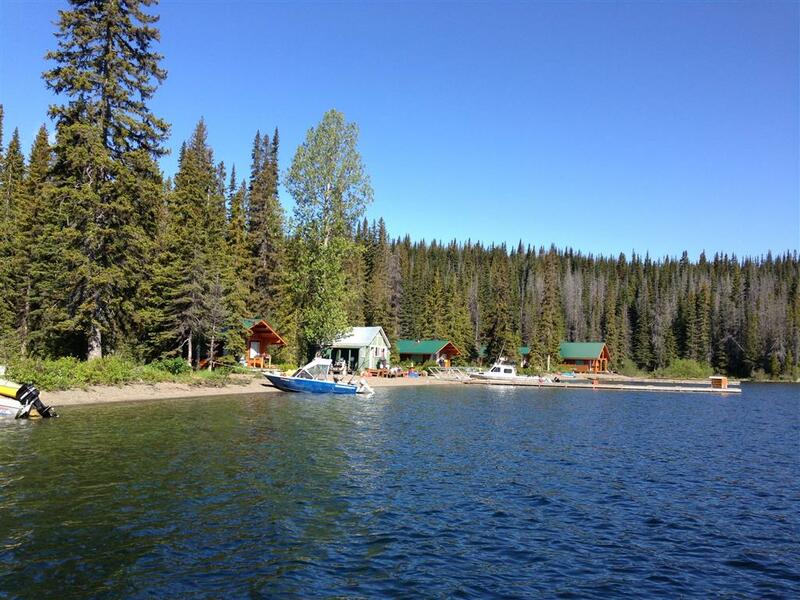 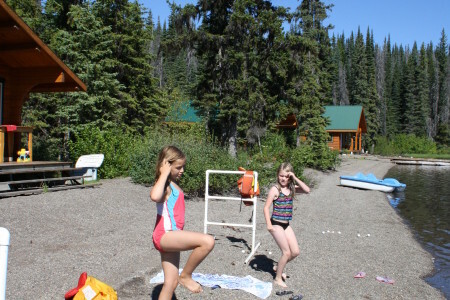 Centrally located on Eutsuk Lake, all of the areas main attractions are easily accessed from the resort. 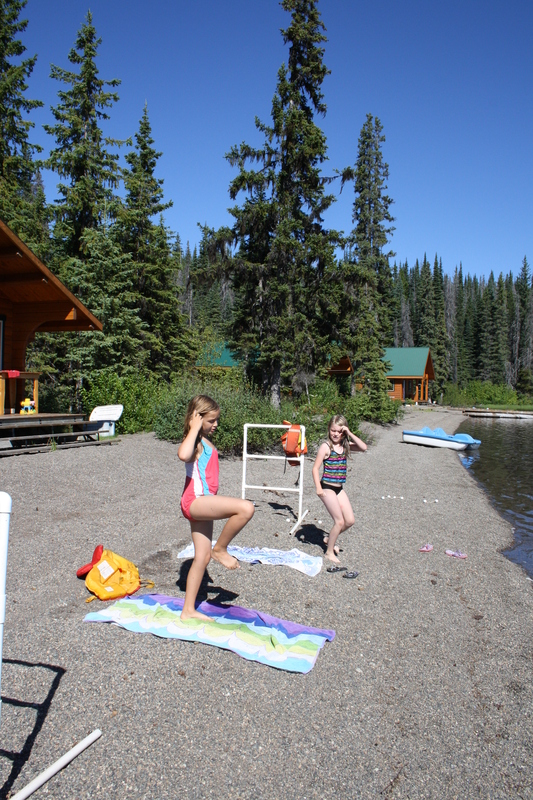 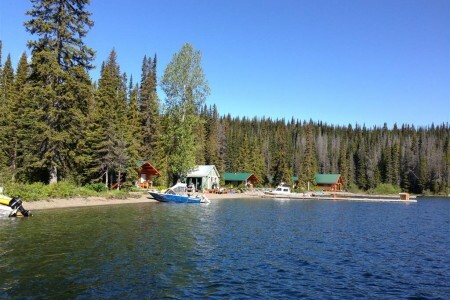 Tucked in a sheltered bay at the mouth of Pondosy Bay, we boast one of the nicest beaches on the lake. 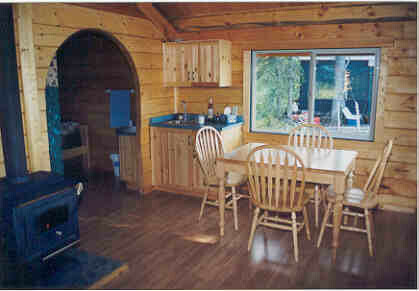 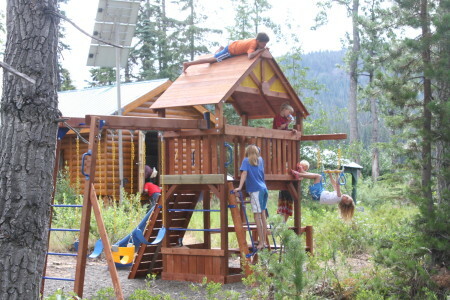 The resort consists of four beautiful log guest cabins, the ‘Timberframe’, our main kitchen and a shop. 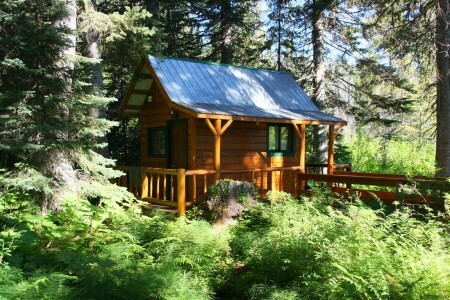 There are four outdoor toilets and one central shower house with two stalls. 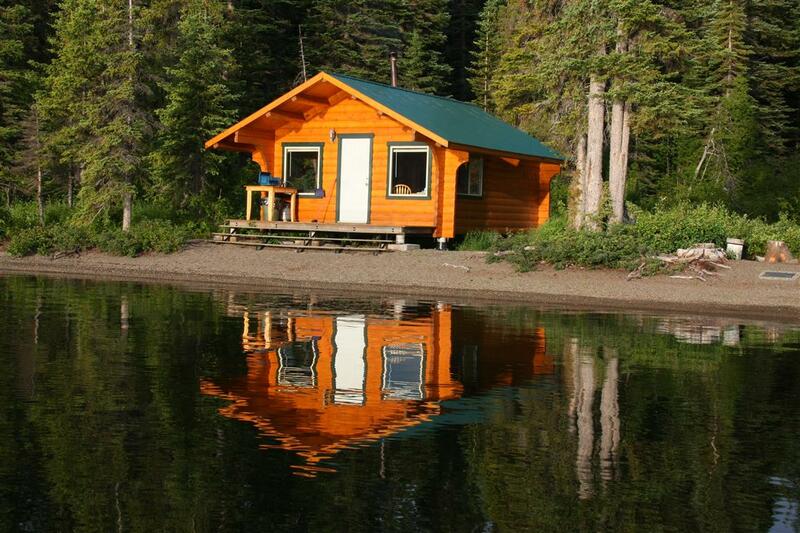 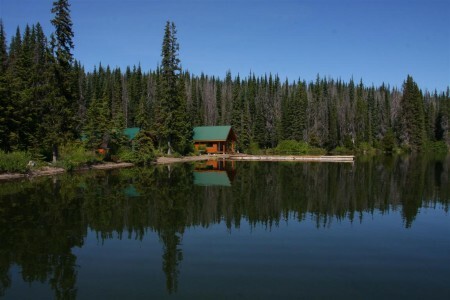 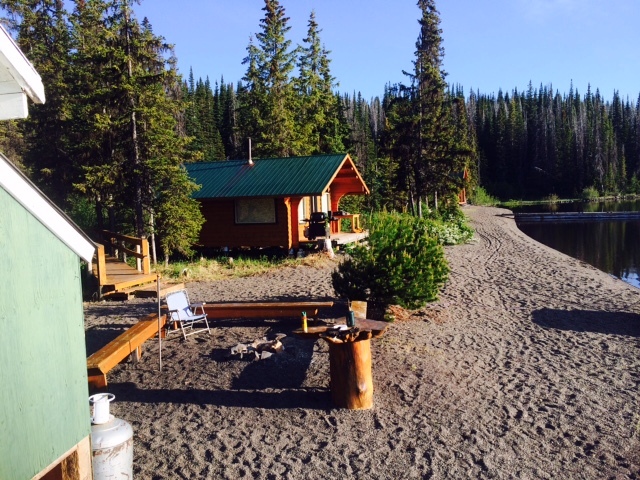 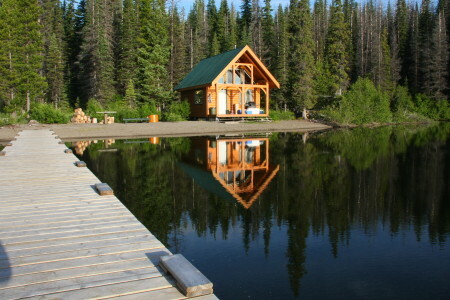 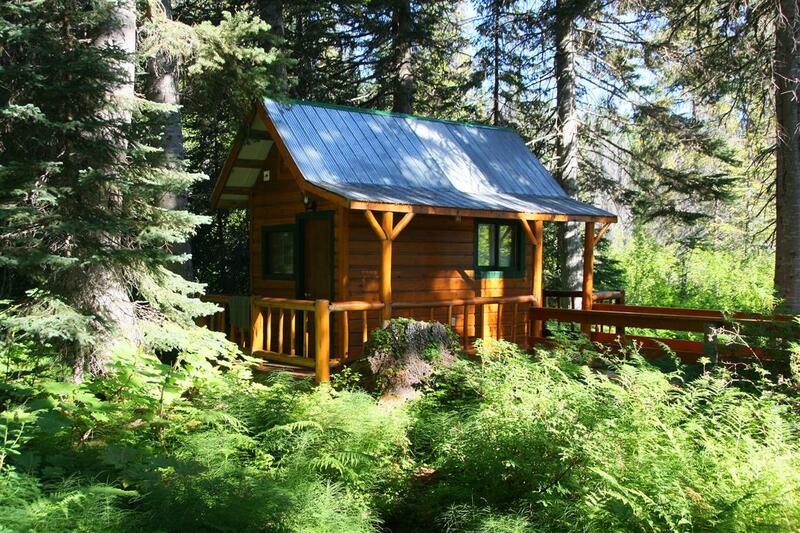 The cabins are well spaced apart for your privacy and only steps from the water. We are powered by the Sun! 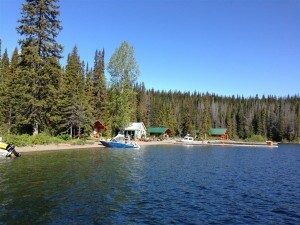 The resort is equipped with a solar charging system and battery storage . 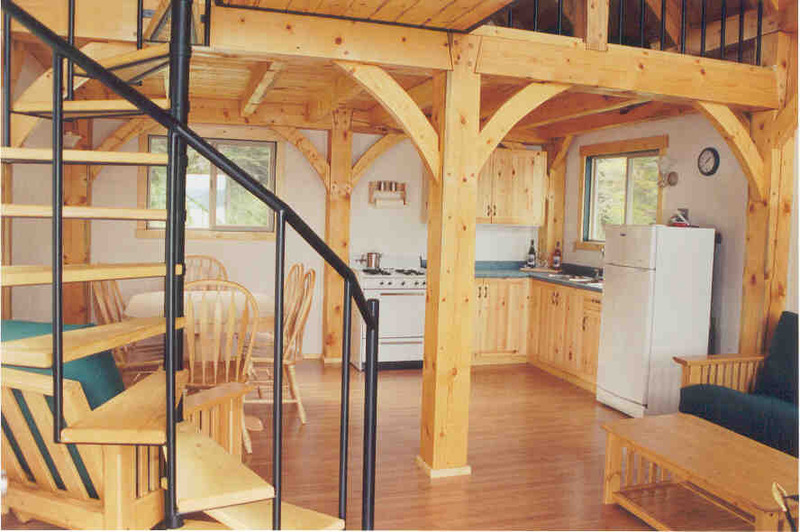 All cabins are wired with 110 V lights and outlets for your convenience. 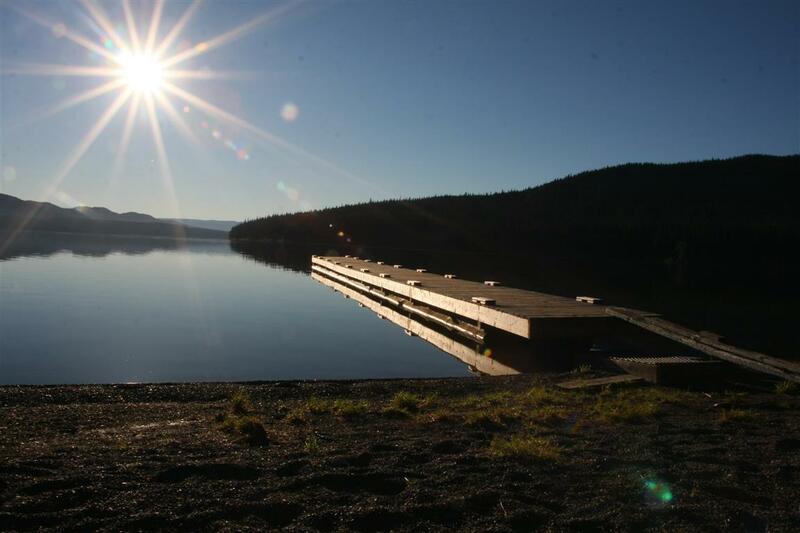 Don’t forget your camera battery charger! A barbecue on the deck. 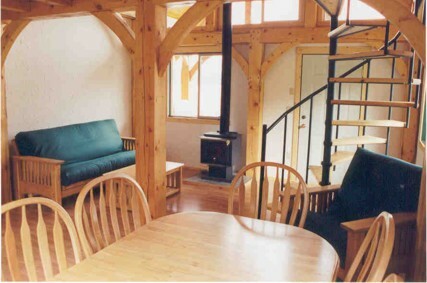 Queen & single bed in loft, futon downstairs.